Hard to believe you’ll find a more storage-focused booth. It has two reception counters with lockable storage below, and two generously sized closets. 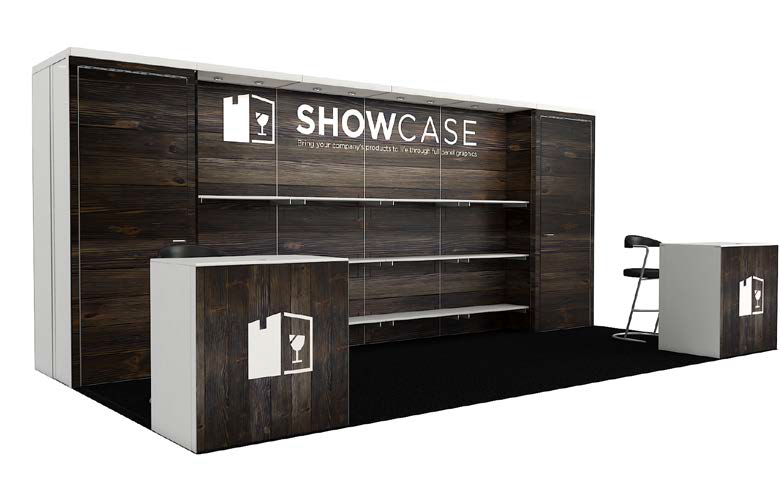 You’ll have shelving for products and the ability to discuss them with attendees up front and close-up. Put compelling visuals and messages about your products, brand, or company on the panels.